Description: A free customizable level loop lic-100 template is provided to download and print. Quickly get a head-start when creating your own level loop lic-100. With this pre-drawn template, you will feel it rather easy to create your own level loop lic-100 diagram. 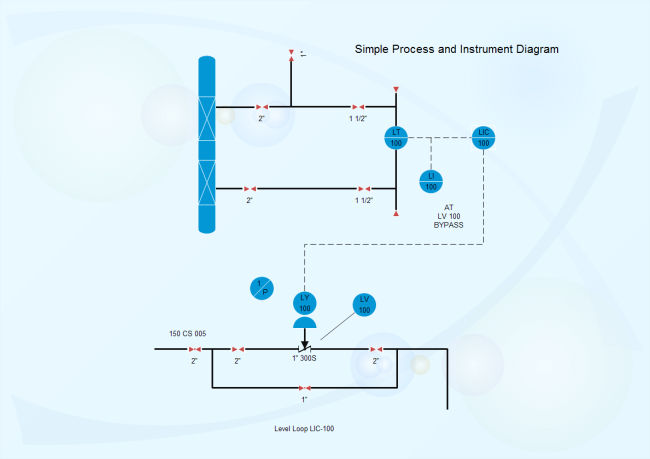 Edraw is a great tool in creating professional process and instrument diagrams.